Made using white beeswax and a little coconut oil to achieve a more even burn. 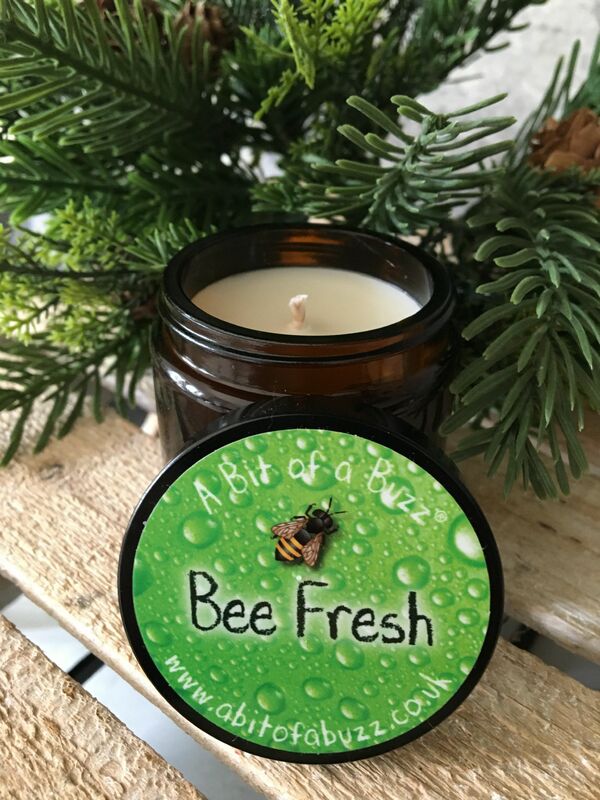 This candle is scented with Rosemary and Lemongrass essential oils, meaning the oils are produced from distillation from the actual plants therefore the scents are completely natural and very fresh. This candle scent is very good at removing tobacco, pet and food odours. Cotton wick and with a burn time of approximately 25 hours depending on draughts or room airflow. Always keep burning candles away from Children and Pets.